(SEATTLE) The Port of Seattle Commission took steps toward securing a partner to develop and operate a new, single berth cruise facility at Terminal 46 by issuing a Request for Qualifications (RFQ). Commissioners also adopted principles to ensure that a growing cruise business increases local economic benefit and maintains the Port’s leadership as the most environmentally progressive cruise homeport in North America. The cruise terminal RFQ is the first step in a partnership selection process that will support the completion of a new facility for the 2022 cruise season. Early estimates are that a cruise terminal could be constructed for around $200 million. A public-private-partnership approach to build the terminal will have the Port contributing half that cost. Responses to the RFQ are due April 18. The opportunity to explore using 29 acres at the north end of Terminal 46 for a new cruise terminal and single berth has come forward now as the Northwest Seaport Alliance works to realize its strategic plan of realigning international maritime cargo operations at Terminal 5 near West Seattle and Terminal 18 on Harbor Island. The cruise terminal project is contingent on the successful authorization of a new lease at Terminal 5 which is scheduled for review at the Northwest Seaport Alliance’s March 19 meeting. This year, the Port celebrates 20 years of service as a cruise homeport. 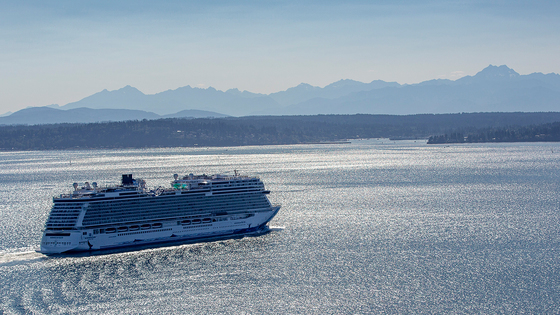 Since 1999, the Port of Seattle has become the U.S. West Coast’s premier cruise port for Alaska cruises, generating almost $900 million in annual statewide economic impact and supporting 5,500 jobs. 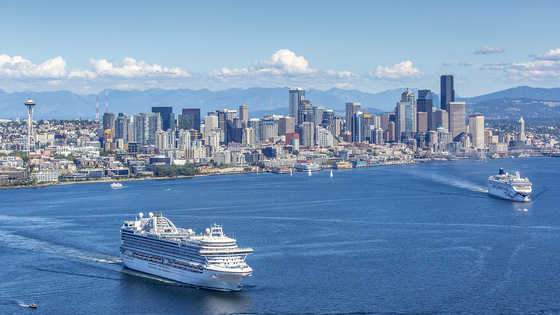 In 2019, Seattle’s cruise industry will serve more than 1 million revenue passengers for the third year in a row. The Port of Seattle’s cruise program supports statewide efforts to expand tourism-related economic activity, which is the fourth-largest industry in Washington. Also, cruise passengers who do stay overnight spend on average $850 per party for pre-cruise and $697 post-cruise. “During the six-month cruise season we bring hundreds of passengers to some of the most beautiful tasting rooms, wineries and vineyards Washington. The economic impact is incredible to observe. Passengers spend well over $100 per person in tasting rooms, in restaurants, and in gift shops during our tour. They always start planning their next trip to Washington before they even get back to the hotel,” said Michael Hughes, President of Bon Vivant Wine Tours. “Cruise passengers are particularly beneficial to hotels like ours outside of the downtown core, and particularly important to those of us near the airport. The demand we see from cruise season helps fill rooms, brings more passengers into our local restaurants, bars and shops, and really adds to the sales and tax revenue that we contribute down here in South King County,” said Mike West, General Manager for the Hotel Interurban in Tukwila. The Port of Seattle is the most environmentally progressive cruise homeport in North America, with the first cruise homeport in the United States with two shorepower berths, and may be the only cruise homeport in the United States with three shorepower berths when Terminal 46 is completed. The Port of Seattle is also the first and only cruise homeport in North America with a voluntary clean water agreement between cruise lines and regulators. Emissions from ocean going vessels, including cruise ships entering Puget Sound, have decreased by more than 67 percent over the last 10 years. Preliminary capital planning estimates that this project could be delivered at approximately $200 million. A public-private-partnership will have the Port funding around $100 million. The Port of Seattle Commission approved a funding plan for this project in its 2019-2023 budget blueprint in November 2019. The five-year plan included some of the most significant and forward-looking maritime investments the Port has made in a generation, each one strategically designed to build up the industries where Seattle’s competitive advantages intersect with global growth trends. At this very early stage of the project, the Port is aiming for a partnership selection process that could support possible completion of the project as early as 2022 cruise season. Community outreach meetings, open houses, and tours will begin this spring and continue through project construction. Ongoing: Community meetings, open houses, and tours will begin this spring and continue through project construction. April 18, 2019: RFQ responses due from proposers. Late spring: Release Request for Proposals (RFP) to RFQ shortlist. Early Fall 2019: Port launches environmental review and permitting process. 2022 Cruise Season: Target begin cruise operations at Terminal 46; project delivery might change when a partner is chosen and design finalized. Founded in 1911, the Port owns and operates Seattle-Tacoma International Airport, Fishermen’s Terminal—home of the North Pacific fishing fleet—and public marinas. The Port also owns two cruise ship terminals, a grain terminal, real estate assets, and marine cargo terminals through its partnership in the Northwest Seaport Alliance. Port operations help support nearly 200,000 jobs and $7 billion in wages throughout the region. Over the next 18 years, the port’s “Century Agenda” seeks to create an additional 100,000 jobs through economic growth while becoming the nation’s leading green and energy-efficient port. Learn more at https://www.portseattle.org.